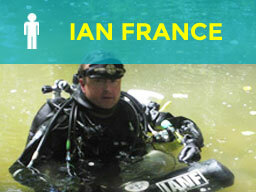 Ian France is a passionate. 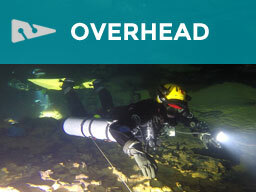 experienced, full time technical diving Instructor Trainer, providing OC & CCR Cave, Mine and Technical diver training at diver and instructor level throughout the world. 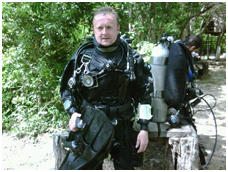 With a wealth of experience in all kit configurations, both OC and CCR, and a regular instructor at Tekcamp, Cave Camp, fundamental in the UKMC, and when not teaching - a very active diver exploring caves, mines, and the ocean. Ian started his teaching career in 2005, teaching open circuit technical courses up to Advanced Trimix. 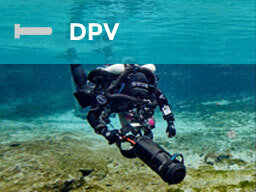 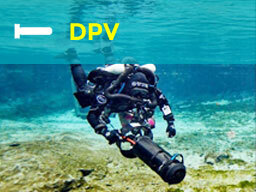 Now specialising in Mine, Cave and Trimix diving as an Advanced Cave diving instructor. 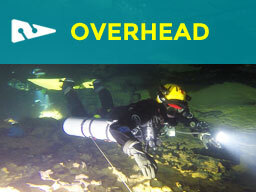 When not teaching, Ian spends his time exploring caves and flooded mines. 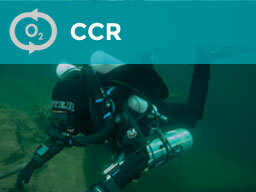 What really motivates Ian is the desire to pass on his experience and knowledge to students so that they too can discover the intrigue and delights of the underwater world and believes that the wrecks, caves and unexplored areas of the world are accessible to all divers with the correct training, equipment and knowledge. 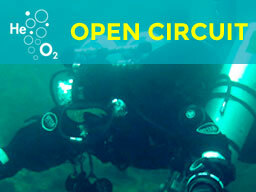 He now runs open circuit technical courses both here in the UK, France, Spain, Azores, Malta, Mexico and Florida. 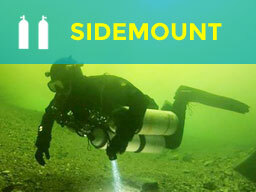 Sports Diver/Recreational, Solo Diver, Essentials Diver, Advanced Nitrox Diver, Advanced Recreational Trimix Diver, Open Water Sidemount Diver. 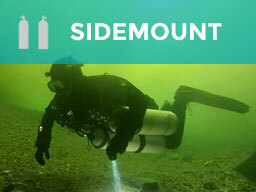 Sports Diver/Recreational, Solo Diver, Essentials Diver, Advanced Nitrox Diver, Advanced Recreational Trimix Diver, Technical Diver, Normoxic Trimix Diver, Open Water Sidemount Diver, Cavern Diver, Limited Mine Diver, Introductory Cave Diver, Full Cave Diver, Technical Cave Diver, CCR Cave Diver, Mine Diver, CCR Mine Diver, Multi Stage Cave Diver, DPV Cave Diver.